Cyndi's first book was a children's story about mischievous kangaroos that she also illustrated. Though no more than one copy was ever produced, it received accolades from Ms. Smith, her third grade teacher, and her mother. She has been writing ever since. She's published in Ms. magazine. You can follow her adventures on her travel and lifestyle blog Travel, Hike, Eat. Repeat. She lives in Washington, D.C. with her highly energetic dog, Theodore the Bagle Hound. I called my Mom. She lives in Georgia—16 hours from D.C. by car, a 2 hour flight, an overnight train ride. We’re close, but we don’t talk very often. Instead, excited by her new iPhone, she likes to text me. She sent me a picture a few weeks ago of a crockpot my cousin got for her birthday. She accidentally made it my dedicated image, so that bright red crockpot shows up whenever I call. So, anyway, I called my Mom. The crockpot popped up as her Verizon ringtone jingled, and she answered laughing. She has a giant, booming laugh. I got that from her. “I want to ask what’s cookin’ whenever you call!” She’s pretty funny. But I had serious business to discuss. “Research shows that when teens don’t fight back, they’re more likely to be hiding things. Fighting is a healthy way to explore your autonomy while keeping your parents in the loop. Mom, we fought because I love you.” I said this last bit with a dramatic flair. 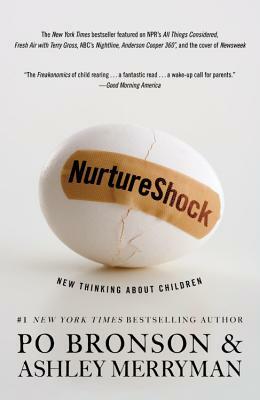 When I joined a new book club, and I saw that the next selection was on child psychology and parenting, I balked a bit. I’m single and child-free and was very confused. I thought about skipping it and waiting to join until the next month, but I’m glad I didn’t. Po Bronson and Ashley Merryman’s essays and insight into child psychology fascinated and captivated me. 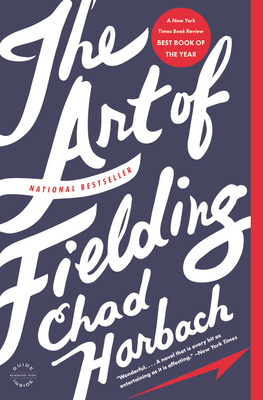 The nonfiction book is chock full of research, studies, and analysis, and somehow it still reads as quickly and engagingly as your favorite novel. I found myself in the statistics (and occasionally outside of them), and I brought up chapters with my boyfriend and friends at every opportunity---learning about their childhood and teen years, as well as gaining new perspectives. I loved this book, and I’m better for having read it. My favorite chapters dealt with IQ development and the gifted system in education, and, of course, those contentious, angst-filled teenage years (did you know that teenagers experience an increase in a brain chemical that keeps them up later at night?). If I do have children, this will be the most well-worn book I own. Speaking of my Mom, she has as much directional awareness as I do, which is to say, none at all. I have gotten lost in my own neighborhood . . . multiple times. So has she. There’s this line she used to say, whenever I’d ask her if we were lost en route to any destination (inevitably, we were always lost). She used to say, “We’re not lost, we’re finding a new way.” I don’t have any tattoos, but if I were to ever get one, it would be that line, maybe with a compass, because those words have been my North Star since I was about five years old. Henry Skrimshander is lost, but like all great heroes and heroines, he’s finding a new way. A small baseball player without any college prospects, he’s “discovered” by a tall, burly player from Westish College. Henry becomes one of the greats and is destined for the big league until one mistake unravels him. Henry’s story is the glue, the centerfold that keeps the pages together, but it’s four other characters whose nuanced stories and experiences made me well with a full range of emotion page after page. I cried when I finished the last page, in part because I cry at nearly everything, but mostly because I was devastated that I’d never get to read this book for the first time ever again. Would you hate me if I said it’s a home run?